The service campaign will see 3,757 units of the Baleno – produced between 6th December 2018 and 4th February 2019 – drive into Maruti workshops. India's largest car manufacturer Maruti Suzuki recently announced a proactive service campaign for its premium hatchback – the Baleno. 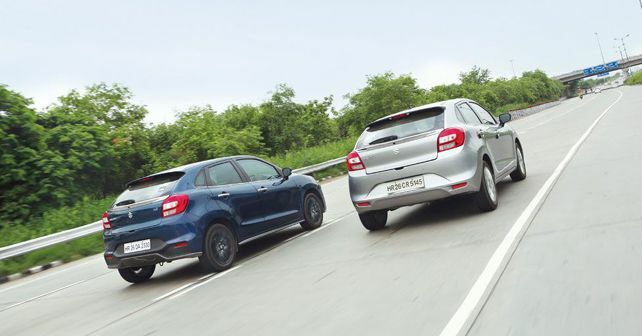 Under the campaign, Maruti Suzuki will inspect 3,757 units of the Baleno for a faulty ABS actuator software. The statement made by Maruti Suzuki officials indicates that the reported software glitch is in no way a safety hazard and any kind of repair/replacement won't be charged to the customers. Authorised dealers across the country will individually contact the customers of the affected cars. To make the process simpler, customers themselves can head over to Maruti Suzuki's website in order to find out whether their car is a part of the campaign or not. Customers can simply fill out the chassis number (starting with MA3 or MBH) followed by the 14-digit alpha-numeric number on the computer screen. The chassis number can either be found etched on the vehicle ID plate or it can be located in the vehicle invoice/registration documents. A faulty ABS actuator (a hydraulic device that interacts with the car's ECU) can affect the car's braking in the sense that the ABS might not kick in under heavy braking or it might not work to its full potential. It's also unlikely for the affected number of units of the newly-launched 2018 Baleno to be very high, however, the possibility can't be ruled for any unit produced in the first batch before 4th February 2019. The service campaign is already underway since 21st February. Previously, Maruti Suzuki had announced a service campaign to inspect and replace the speedometer assembly and owner's manual in the Zeta and Alpha variants of Ciaz diesel cars.